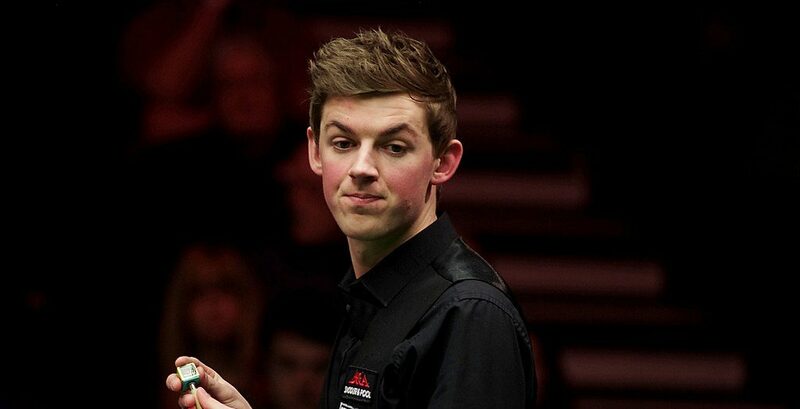 There we go … yesterday we lost one of the poster boys as Mark Selby crashed out to amateur James Cahill. Probably the biggest shock of the round, although Mark Selby hasn’t done great in Triple Crown events over the last year; in fact he has now lost in the first round he played in all three of them. It’s all the more bizarre because Mark has already won a ranking tournament in China earlier this season. Flu-stricken Ronnie O’Sullivan admitted he could “barely focus on the balls” during his first round tie with Luke Simmonds at the Betway UK Championship but he still managed a 6-1 victory. O’Sullivan won this title for the sixth time last year to equal the record set by Steve Davis so one more would put him out on his own with seven. He is also level with Stephen Hendry on 18 Triple Crown titles so another piece of history is up for grabs for the Rocket in York. And despite a slow start today the 42-year-old had little trouble in booking a last-64 match with Ken Doherty, on Sunday at 1pm. Amateur Simmonds, who works part-time in a factory making car parts, looked as if he could manufacture a massive shock when he took the first frame with a break of 56. 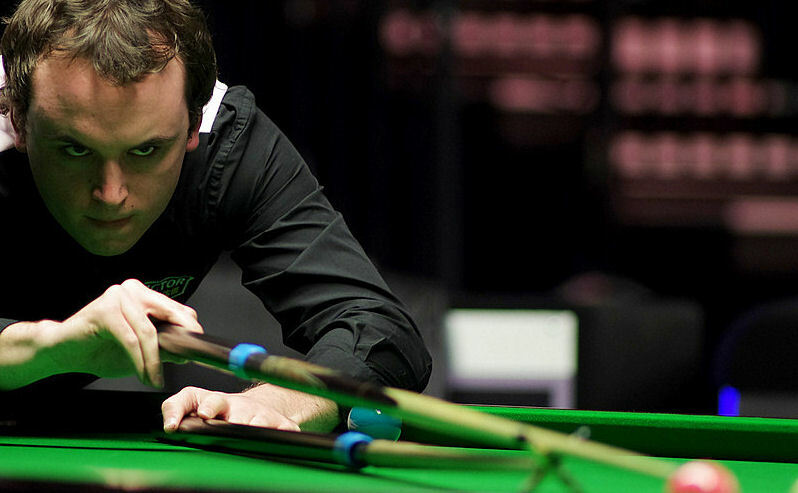 But O’Sullivan gradually took control, taking two scrappy frames to lead 2-1. The 33-time ranking event winner then stepped up a gear and rattled through the last four frames in just 50 minutes with breaks of 97, 118, 112 and 77. The brace of centuries brought his career tally of tons to 980. 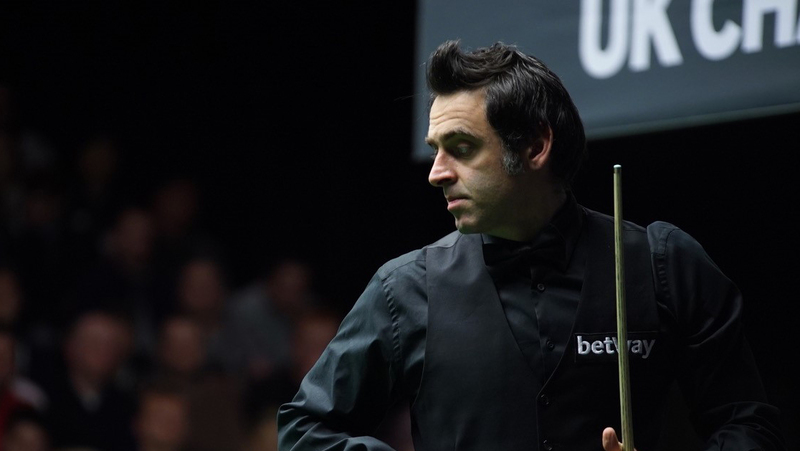 “I must have a virus because I felt awful today, at one point I wasn’t sure if I could get through the match because I couldn’t even focus on the balls,” said O’Sullivan, who has already won the Shanghai Masters and Champion of Champions this season. “I had to just grind it out. It felt like one of the hardest matches I have ever had to play. As for his opponent, O’Sullivan added: “I can’t believe Luke is a factory worker because he’s got more shots than 80% of the players on the tour. He’s got talent and he would beat a lot of players. He played as if he had nothing to lose today and played some lovely stuff. Sam Baird enjoyed a tremendous come back from 5-1 down to beat Liang Wenbo 6-5 with a top break of 90. “At 5-1 down I was thinking about my first pint,” said world number 105 Baird. “Liang played so well to go 5-1 up, he potted every long ball and made big breaks. I was just admiring him, thinking there was nothing I could do about it. Stephen Maguire, the 2004 UK Champion, recovered a 3-1 deficit to beat Germany’s Simon Lichtenberg 6-3. Glasgow’s Maguire took the last five frames with a top break of 82. Barry Hawkins beat Jamie Clarke 6-0 with a top break of 76 while 2003 UK Champion Matthew Stevens saw off Ross Muir 6-4 with a top run of 102. Luca Brecel top scored with 103 as he came from 3-0 down to beat Fan Zhengyi 6-4 while Iran’s Hossein Vafaei edged out York’s Ashley Hugill 6-5. China’s Yan Bingtao made a 106 in a 6-1 defeat of Lukas Kleckers while 2006 UK Champion Peter Ebdon made a 103 in a 6-2 win over Chris Totten. So, that’s three of the top 16 out: Ryan Day, Shaun Murphy and Mark Selby. Overall the top players have not been at their best in the first round. It’s a bit of a banana skin for them, playing opponents who have very little to lose and play with freedom, whilst they are expected to win easily. Today, there is no play as the BBC install their lighting and stuff before their actual broadcasting starts tomorrow. I didn’t see any of the Selby or Williams mateches in the evening – I was in the ‘garage’. For a while in the morning it looked like there might be upsets, with Brecel, Maguire and Xiao all losing at one point. I thought Brecel was erratic, often trying spectacular shots, and playing with extreme amounts of side all the time. He doesn’t quite get my vote at the stupidest player – that goes to someone else. But Fan’s still a kid, and wasn’t able to capitalise on his 3-0 lead. For some players now, best-of-11 seems like a marathon. I did watch Ronnie’s match, and also Liang Wenbo’s collapse. He started brilliantly, but then got stuck, which has been happening all too regularly. In the evening I watched possibly the most eventful match of all time! There were great pots, great safety battles, century breaks (including a 141), a respotted black, two frames won from snookers-behind, and undoubtably the stupidest shot I have ever seen on a snooker table.